Located north of the International Drive and CityWalk district, Downtown Orlando is an escape from the tourism. Here you will find popular nightclubs and restaurants. Enjoy nightlife on Church Street or experience multiple bars on one venue at the Wall Street Plaza in Downtown Orlando. Whatever flavor you are looking for, you will find it Downtown. Whether you like techno dance music, hip-hop, outdoor bars, Irish Pubs or just a simple after work happy hour bar. 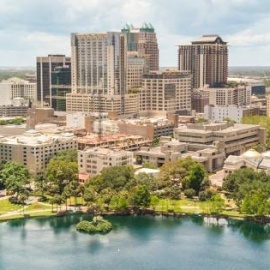 The best way to experience all that this city has to offer is by staying the night at one of the many hotels in Downtown Orlando or in the nearby areas which are only a cab ride away. Not only does this business district have a hopping nightlife scene, plenty of restaurants & shopping can be found along many of the strips. Downtown Orlando may not have a large skyline but below the high rises is a world outside of Disney "World"!